The Mount St. Joseph wrestling team came into their Mount Mat Madness tournament on Friday missing some key starters, state champions Connor Strong and Justin Henry. At the conclusion of Saturday’s semifinal round it was clear those missing cogs would not derail the Gaels from repeating as Mount Mat Madness champions. St. Joe rung up an impressive 319 points to out-distance Georgia State Champions, Buford, by 113 points, 319-206. “You always have some concern when the team is not 100% healthy, however, I don’t view our second team starters as unproven,” St. Joe coach Harry Barnabae said. “They have wrestled in a number of high-profile wrestling matches and tournaments and do not shy away from the opportunity to get into lineup. I was confident coming into this weekend that they (Bradley David, 145lbs, and Tony Zancan 182lbs) would wrestle well. The action kicked off at 160 in order to set the table for the 152lb bout to be the closer. This meant that heavyweight Isaac Righter captured the first title for St. Joe. The Beast of the East champ, who is now ranked No. 9 in the nation by FloWrestling, did not even spend a full period on the mat throughout his four matches. The junior’s 34 second fall of Loyola’s Bennett Traurig represented his longest bout of the tournament. The other falls were in 14, 18, and 10 seconds. MSJ’s Chris Barnabae (120) won his second straight Mount Mat Madness crown. At 120 Chris Barnabae (No. 1 in the Maryland State Rankings by BillyB) followed up his strong Beast of the East showing with his second Mount Mat Madness crown. The junior is gaining a reputation of being “the guy no one wants to wrestle” due to his physical style of wrestling. Barnabae pummeled the competition enrout to the finals where he encountered a freshman, Evan Eldridge, from St. Mary’s-Ryken who was up for the challenge. Eldridge, who was unranked in Maryland, picked off Loyola’s No.7 Deshawn Strand in the quarterfinals and then planted Leonardtown’s No. 4 Sean Vosburgh in the semis. Eldrige was hanging with Barnabae (No. 14 in the nation by FloWrestling) until mid-way through the match when Barnabae kicked into another gear and put some points on the board to walk away with a 10-3 victory. No. 3 Clement Woods added some stress to St. Joe’s prep when he was well over weight days before the tournament. Woods rallied and dropped the pounds, ending up as the 126lb champion. Woods squared off with No. 9 Blake Jury (St. Mary’s-Ryken), who was a state champion last year at Huntingtown. Woods took an early lead, but Jury battled back, only to fall 8-7. The win was Woods’ first tournament title as a high schooler. No. 2 Nathan Porter (132) came up short last year in his title quest, but there would be no such disappointment this year as the junior blanked Fauquier’s Gino Camarca, 8-0, in his finals match. Placing second for the Gaels were Jonathan Short (170) and Parker Warner (220). Landing in the third spot were Joe Couch (106), Bradley David (145), Zach Phillips (160), and Ethan Stern (195). Jacob Wright (113) and Chris Roybal (145) were fourth, while Matthew Jun (138) and Tony Zancan (182) were fifth. Tournament Director Neil Adelbert presents the Outstanding Wrestler Award to Centennial’s Jason Kraisser. Going deep into tournaments has become a tradition amongst the Kraisser family. Jason Kraisser (No. 1 at 152) joined his brothers, Nathan and Austin, as Outstanding Wrestlers of the event. Kraisser captured his second straight crown with a hard-fought decision, 9-5, over Buford’s Charlie Darracott. Darracott, who is a two-time state champion and NHSCA All-American, came out with guns blazing, taking Kraisser down for an early lead. Kraisser elevated his game a level and methodically started putting his own points on the board. Kraisser was unranked by FloWrestling coming into this match with the No. 19 wrestler in the country, but never let that impact his performance. He did what the Kraissers do…win. Buford did manage to take four championships back to the Peach State. Logan Ashton (113), Nick Stonecheck (145), Blaine Bergey (160), and Evan Dimaggio (220). Pennsylvania’s Westmont Hilltop’s third place finish was paced by one champ, Ethan Kelly (138). Loyola finished fourth in the standings with a roster loaded with promising young talent. That talent is not at the next level yet, but the future is very bright for the Dons. The squad equaled Westmont Hilltop’s nine placers for the second most in the field. In addition to Traurig’s runner-up showing, Deshawn Strand (120) finished third with a big win over No. 4 Vosburgh in the third-place match. Ian Takas was fourth at 182, James Conway placed fifth at 160. Standing in the seventh spot on the podium were, Jimmy Douglas (106), Cole Myers (126), Jeremiah Aybar (145) and Josh Aybar (152). 220ber Adrian Russell was eighth. Another high-powered finals bout occurred at 195. Lake Norman’s Nathan Dugan is ranked No. 12 in the country by FloWrestling. Urbana’s Kevin Makosy (No. 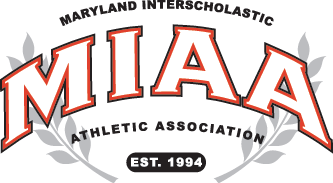 1 in Maryland) was not ranked by the publication despite placing fourth to Dugan’s seventh at the Super 32 preseason tournament. Dugan proved the national rankings to be correct rolling to a surprising major-decision win, 13-5. Leonardtown’s John Podsednik (170, No. 1) was Maryland’s only other champion. The senior, and defending state champion, downed St. Joe’s Short (No. 5), 13-9, in the title bout. The other champions were both from Virginia, Liberty’s Mason Barrett (106) and Fauquier’s Sam Fischer (182). “Neil Adleberg, (MMM Tournament Director) always does such a great job in showcasing this event and bringing in teams from all over the country,” Barnabae said. “This year was no different as we prepared during the week for powerhouses Buford of Georgia, Lake Norman, North Carolina, and Westmont Hilltop, PA just to name a few. Pictured above: St. Joe’s Isaac Righter finishes off a 34-second pin of Loyola’s Bennett Traurig in the 285 final. Richter was absolutely dominant in claiming his MMM crown.